The bankruptcy system is set up to give you time to reorganize your debts or liquidate your assets depending on the type of bankruptcy you choose. 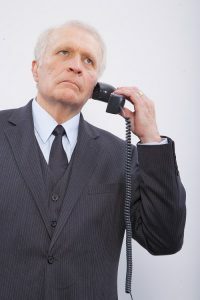 As soon as you file the proper paperwork with the court, creditors are prohibited from contacting you regarding your debt. Any attempts to contact you must be through the courts and your attorney. As soon as your petition is time and date stamped by the court clerk, the automatic stay goes into effect. The stay is implemented before the hearing, prior notifications or even signatures from the judge. If a creditor contacts you after being notified of the automatic stay, you may have legal recourse. The automatic stay stops most collection attempts during the course of the bankruptcy, including utility disconnections, evictions, letters, calls, foreclosures, and vehicle repossessions. In most cases, it also stops wage garnishments. Alimony and child support are exceptions to the automatic stay. A creditor can ask the court to remove the automatic stay and get permission to proceed with debt collections. The creditor must prove that they will lose money if the stay remains in place. Most reasons include foreclosure, evictions or lawsuit in another court. Bankruptcy can be complicated, be sure to talk to a knowledgeable Houston bankruptcy attorney to protect your assets and gain relief from creditors calls.